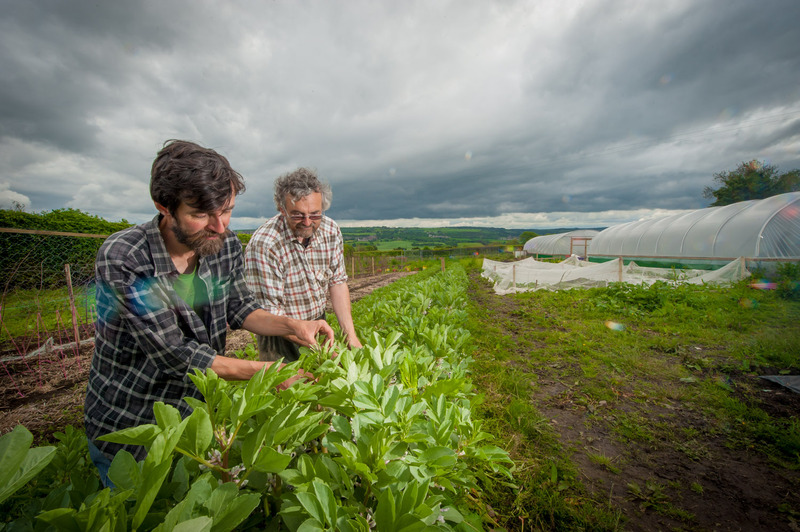 And as a member you have the option to take out a subscription for a weekly share of the crops we grow in one of 3 sizes – sign up below and receive your first months share FREE! Become a member – there is an annual membership fee of £26 – your money goes directly into administering your membership and keeping you informed. If you would like a weekly share of the crops – we offer three sizes, small which feeds single person household and costs from £28 a month or medium which feeds 1 – 2 person household £35 per month, or large families, 3-4 people and costs from £50 per month. You can also apply for a work share where you exchange your labour for a share of the crop. Collect your share directly from our field next to Halls of Heddon at Ovington on a Friday afternoon or Saturday morning. You might want to ‘buddy up’ and share collection with another member and/or you can organise for your share to be weighed in advance (there is a small additional charge for this). Typically 5 items – Every Week! Typically 7 items – Every Week! Every Week – all year round! Large Crop Share – Every Week! Can I choose what’s in my bag? We harvest what is in season to pick crops at their very best and so that dictates what is available each week. When you collect from the field at Ovington there is a swap box where members can swap items that they don’t like. We are sure that you will love most of what you are given and there are recipes regularly added to the website to inspire you! What kinds of vegetables can I expect? Every year we plan and plant a large variety of vegetables, in excess of fifty different varieties over the year. We of course supply our members with basic vegetables that people use frequently such as potatoes, carrots and onions and familiar vegetables such as cabbage, cauliflower, tomatoes, salad leaves and leeks. But we also grow things that are a little more adventurous and unusual to add variety and treat our members to some really great vegetables which are often hard to find in mainstream supermarkets such as komatsuna and kohlrabi. Members receive a regular email to tell them what to expect in their cropshare that week to help with meal planning. No, we are not a veg box scheme. However, you can arrange to have your cropshare weighed and made ready for collection in advance (for a small fee). Is there any other local food that I can buy through Go Local? We do often have other local food to buy such as eggs, jam, chutneys, fruit and other seasonal goodies. We also place a SUMA order for members about 6 times per year at wholesale prices. Your order is collected from the field. Do I have to travel to the field every week to collect my veg? As we don’t deliver, the only way of getting your weekly share is by travelling to the field. However, if you live a bit further from our field in Ovington, we can put you in touch with other members from your area so you can ‘buddy up’. 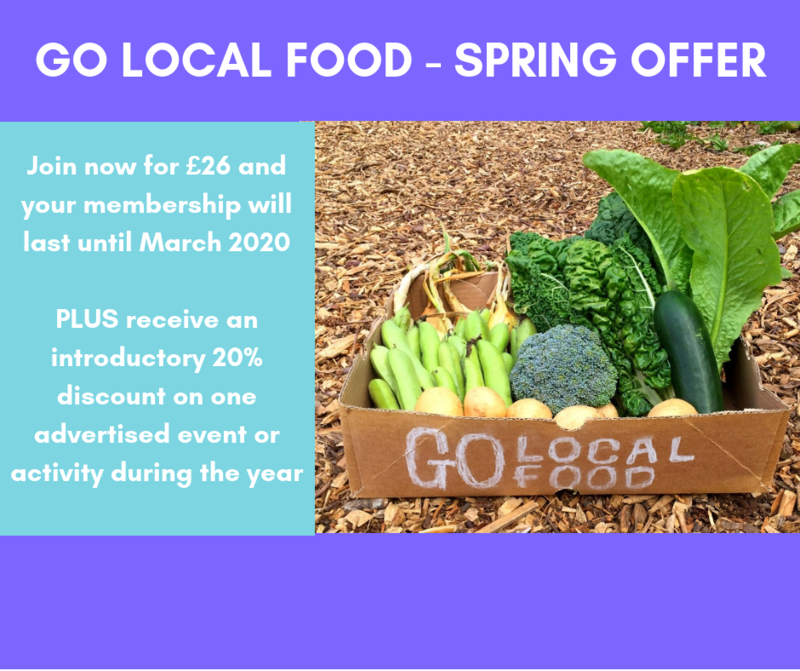 This works well for members in Corbridge, Hexham and Mickley who take turns travelling to collect veg for each other. How do I travel to the field? We are situated behind the Halls of Heddon Nursery in Ovington. Details of this are on our website. Depending on where they live, members walk, cycle, drive or take the bus to get to our fields. Bus services x84 and 686 will leave you at the Nursery entrance. Can I change my cropshare size? Yes you can. We will need to change your monthly payment to us, so once your next payment has cleared you can start taking a different cropshare size option. What happens if I can't get to the field on a Friday or Saturday? The veg are harvested on Friday afternoon, and the earlier you can collect the better in terms of freshness. However, if you can’t get there on a Friday or Saturday, veg will still be available for you to collect from the field up to Sunday lunchtime. What happens if I am away or on holiday? If you are not able to collect your vegetables for whatever reason we are very happy for you to pass your crop share onto a friend or family member. If no one is collecting your share let us know so that we don’t harvest too much veg that week. Is Go Local Food only about vegetables? Membership of Go Local Food brings with it many benefits. We hold regular events and workshops on the field and other local venues that you can take part in. As a co-operative you are a member and as such can attend meetings and get involved in decisions. Halls of Heddon offer a 10% discount on items from their shop in Ovington. We also want to encourage young people to get involved and have our very own Growing Gang who meet once a month and look after their own plot on the field. A lot of members also volunteer in different ways, from admin and promotions to organising events and weeding the field. Can I cancel my cropshare subscription at any time? Yes of course you can. If you are unhappy with any aspect of your subscription we would love to talk to you about it and see if we can make any changes to help you stay, but you are free to cancel at any time. All we ask for is one month’s notice. We also have a 14-day cooling off period on new subscriptions.